Since November 2017 the U.S. largely stopped the fight against ISIS in north-east Syria. It gave ISIS the chance to regain power. A new report to the UN Security Council now confirms that ISIS in north-east Syria recuperated. It again profits from oil extraction under the nose of U.S. forces. The U.S. military in Syria has refrained from fighting ISIS for months. 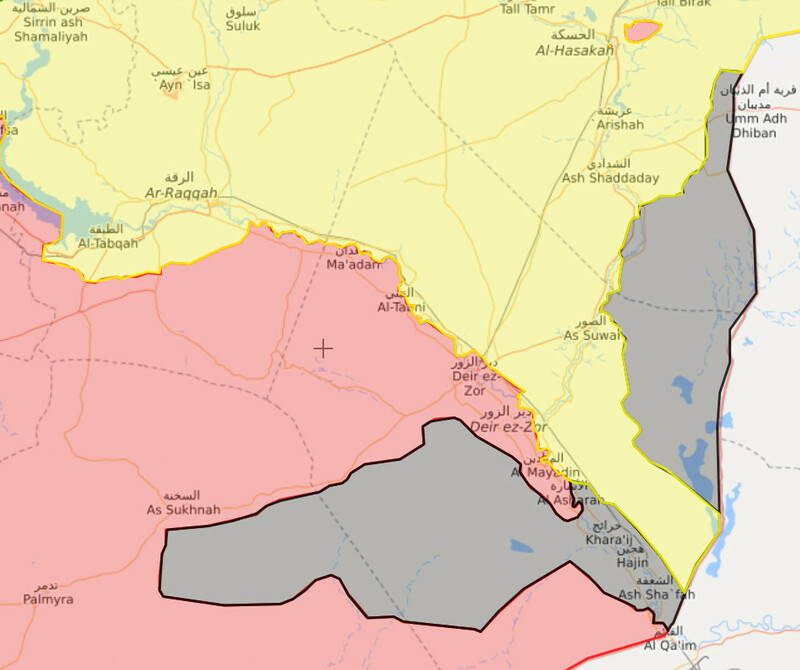 The map of the territory held by ISIS (grey) at the Syrian-Iraqi border in the U.S. controlled zone north of the Euphrates (yellow) has not changed since November 2017. It is obvious that the U.S. wants to keep ISIS alive and well to again use it, if need be, against the Syrian and Iraqi government. 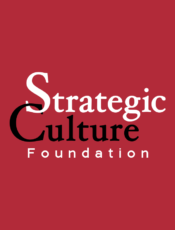 [The] Islamic State in Iraq and the Levant (ISIL), having been defeated militarily in Iraq and most of the Syrian Arab Republic during 2017, rallied in early 2018. This was the result of a loss of momentum by forces fighting it in the east of the Syrian Arab Republic, which prolonged access by ISIL to resources and gave it breathing space to prepare for the next phase of its evolution into a global covert network. By June 2018, the military campaigns against ISIL had gathered pace again, but ISIL still controlled small pockets of territory in the Syrian Arab Republic on the Iraqi border. It was able to extract and sell some oil, and to mount attacks, including across the border into Iraq. Under the nose of more than 2,000 U.S. forces in north-east Syria ISIS recuperated and again gained force. It is still able to pump oil from the ground and sell it into the local market. It appears that ISIL can still draw on some of its traditional funding streams, including hydrocarbons and extortion, earning millions of dollars per month. In its previous report, the Monitoring Team highlighted the group’s loss of control of oil and natural gas fields however, the slowdown of military progress against ISIL in early 2018, mentioned earlier, allowed the group to regain access to some oil fields in north-eastern Syrian Arab Republic. As a result, oil remains a primary source of revenue, with the group using primitive methods to extract it, both for its own consumption and for sale to locals, in addition to the extortion of distribution networks. Oil extraction can certainly be seen by surveillance drones of which the U.S. flies plenty in the Syrian airspace. But there is not one report of an airstrike against oil related targets in the U.S. military reports collected by Airwars for April, May or June 2018. 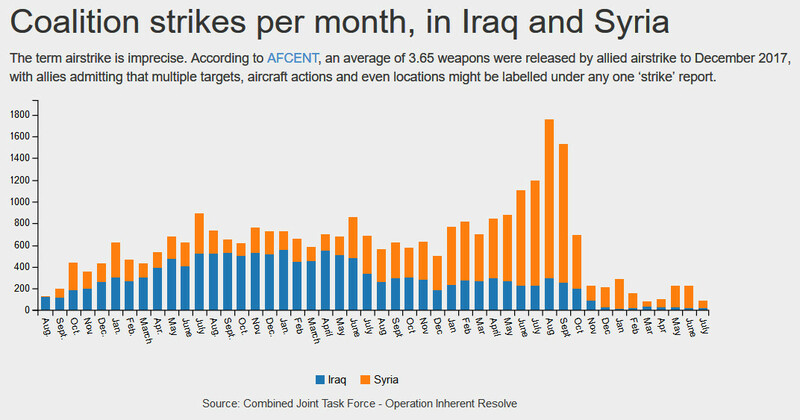 After a slight uptick in May and June airstrikes against ISIS in July were again down at a very low level. 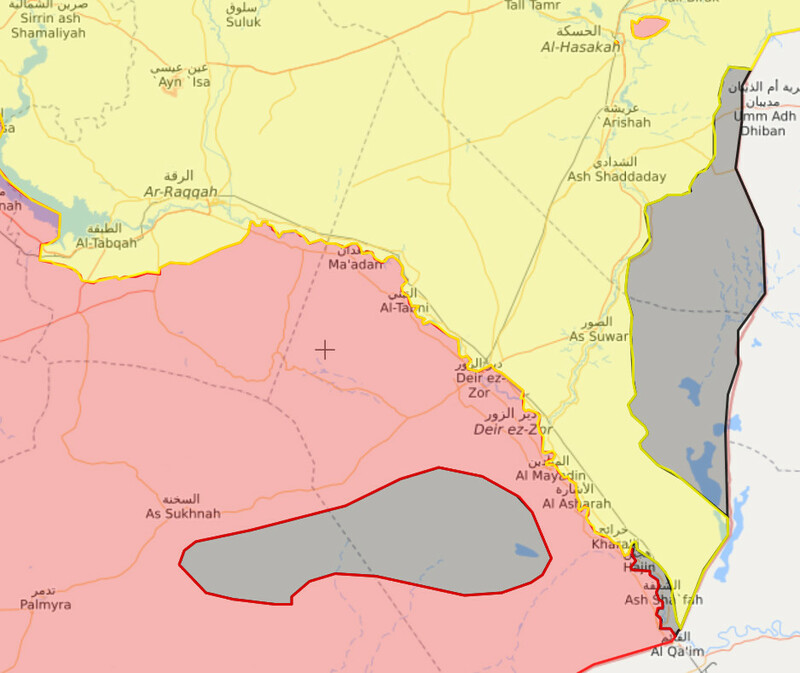 #DeirEzzor – After a short surveillance tour by Gen. Funk, Gen. Jarrard and #SDF commander in Middle Euphrates River Valley heval Çiya yesterday, operation to liberate #Hajin to start today in the evening. #SDF commander said they will launch “Operation to Liberate #Hajin” in a few days to clear the final places held by #ISIS to the east of the Euphrates. The U.S. claimed that it had to stop its operation in east Syria because its Kurdish proxy ground force, the SDF, was busy fighting the Turkish invasion of Afrin in north-west Syria. But U.S. air attacks against ISIS in Syria already slacked in November 2017. The Turkish invasion of Afrin started on January 20 and ended on March 24. Hardly any Kurdish units from east Syria were involved in the fight. Giving ISIS time and liberty to recuperate and to make more revenue seems to be a deliberate strategy. It is a repeat of the earlier U.S. coddling of ISIS. During the ISIS occupation of eastern Syria in 2014 and 2015 oil extraction and its sale to Turkey was ISIS' main financial resource. But the U.S., despite declaring a grand coalition against ISIS, never made the lucrative ISIS oil operations a target. Only when Russia's President Putin showed aerial pictures of thousands of oil tankers, waiting in the desert to load ISIS oil, to his colleagues at the G20 summit in Turkey, was U.S. President Obama shamed into attacking them. A day after the G20 summit the U.S. airforce started to bomb the long lines of oil tankers. The Syrian army is still preparing for the operation in Idleb governorate which is mostly under al-Qaeda's control. Under the Astana de-escalation agreement Turkey has been given until early September to solve the al-Qaeda problem in the province. It is unlikely that Turkey will succeed with that. [The Al-Nusra Front (ANF)] is assessed to remain the controlling force within the Hayat Tahrir al-Sham (HTS) umbrella, which has accordingly been added by the Sanctions Committee as an alias of ANF. Syrian national Abu Mohammed al-Jawlani is the leader of both ANF and HTS. HTS maintains a position of strength in Idlib province, but is under pressure from other Syrian opposition groups. Member States assess that HTS and its components still maintain contact with Al-Qaida leadership. … According to one Member State, HTS recently seized territories from Ahrar Al-Sham and other armed groups after being reinforced by the arrival of military and explosives experts from Al-Qaida in Afghanistan. Some ISIL fighters, such as the leader of the ISIL Green Brigade in north-western Syria, have also joined HTS…. Extortion remains a primary source of financing for ANF, which earns money through its control of Idlib and checkpoints, including by “taxing” the movement of commercial commodities. Kidnapping for ransom of locals is another source of revenue, and the group may earn some funds through external donations. 'Western' media continue to play down the Idleb problem and al-Qaeda's influence there. Their 'experts' cry crocodiles tears about the upcoming Syrian operation. But these ain't 'moderate rebels'. Al-Qaeda in Syria, under the Nusra or HTS label, continues to be a danger not only to the local population and not only to Syria. It must be eliminated as soon as possible. But the same way the U.S. continues to use ISIS for its imperial interests, it will likely continue to use al-Qaeda in Syria to exercise pressure on the Syrian and Russian government. As soon as the Idleb operation starts we can expect another full propaganda onslaught with daily news of the "last hospital bombed", more faked 'chemical attacks' and fake rescue videos.